For many of us, we smile at the idea of getting a new car. 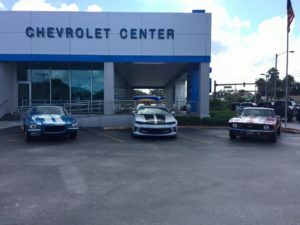 Perhaps that was the feeling Emma Ely of Winter Haven, FL had when she bought the 1970 Camaro 350 SS at Chevrolet Center in the same year. Since that year, she has never traded the vehicle in. She has proudly owned the classic Chevrolet the entire time. This past week, we had the wonderful opportunity to have Emma join us at the Chevy Center in Winter Haven to walk down memory lane. In honor of the Camaro’s 50th anniversary, we think it’s a fitting tribute to the car’s history and customer satisfaction. 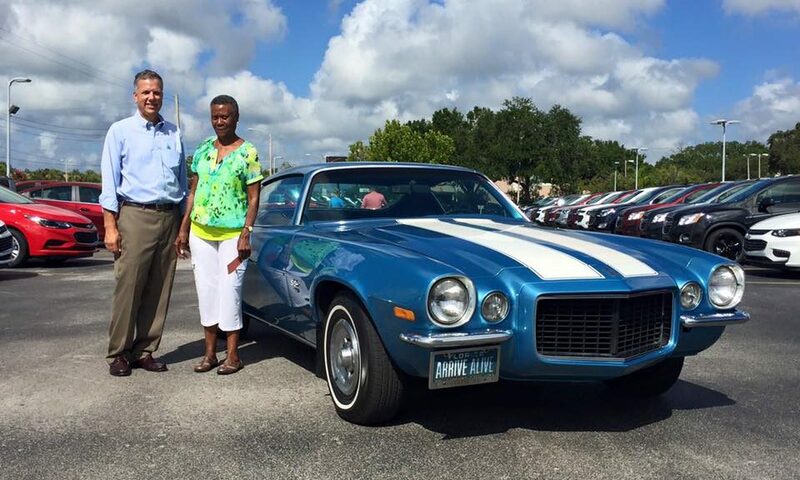 In recent years, Ely had the Camaro restored with a fresh coat of paint, and it still looks just as beautiful the day in which she bought it off of Bob Beckett.